Jim Gibbs got the save in this June 1990 game and he worked for it, according to The Eugene Register Guard. The Bend Bandit went the final three innings of the 6-3 Bend win, striking out seven, The Register-Guard wrote. "They were a little frustrated I think," Gibbs told The Register-Guard afterward. "I'll have days like this and they'll have days like this, but I'm not better than anyone else." Gibbs had that day in his second season as a pro. His days in pro ball, however, turned out to be numbered. He finished out that season and briefly played the next, marking the extent of his career. Gibbs' career began in 1989, taken by the Athletics in the 38th round of the draft out of San Diego State University. At San Diego State, Gibbs gave up a three-run home run in a March 1988 game. In April 1989, he helped his team to a seven-inning no-hitter. He came on in relief after two batters and finished out the game. Gibbs started with the Athletics at short-season Southern Oregon. In 12 relief outings, he picked up a loss and a save and had a 5.40 ERA. He recorded a strikeout in a July game to hold a lead. Hethen had arm surgery. He moved to short-season Bend and then single-A Madison in 1990. In 11 innings at Bend, he didn't give up a run and recorded two saves. He also drew praise from his manager Mike Bubalo after he recorded his second save of the year in that same June 1990 game, according to The Bend Bulletin. "He has a good fastball that really moves," Bubalo told The Bulletin afterward. At Madison, he got into 18 games in relief and had a 4.05 ERA. He also saved seven. 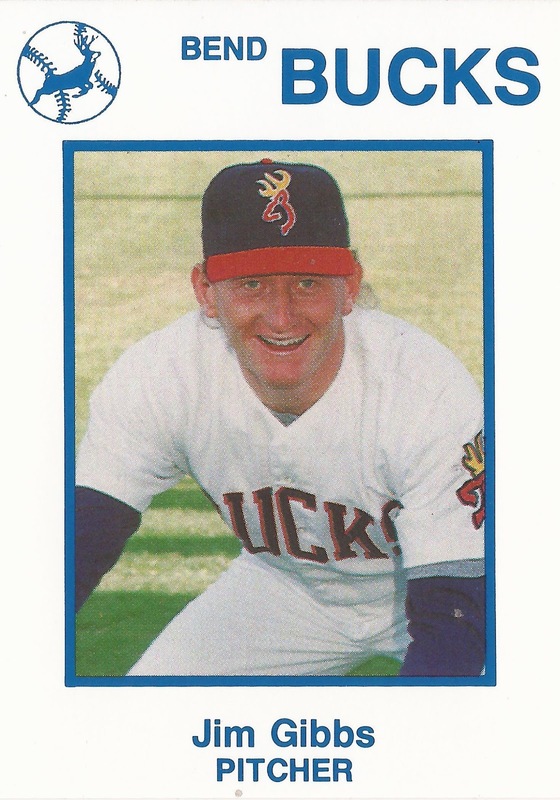 Gibbs moved to the Brewers system and single-A Beloit for 1991, but his stay was short-lived. He got into just two games, ending his career.